This runs today only (January 31, 2015), so don't miss out on your chance to win! Now, time to share with you my card for the hop. I'm using the stamp set called Stumped. This is beautiful! I love the background and that beautifully colored deer. 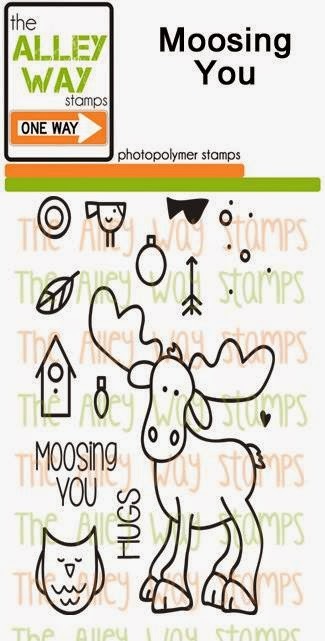 Love this stamp set, a beautiful creation in soft colors and love the deer image!! Fabulous card. I really like your design and great colouring of the sweet little deer. Love the background that you created. Such a great 'woodsy' look! Great background and awesome card, love it. TFS and have a great weekend. Super cute card - love the background and the deer. The green sequins are a nice touch. Great coloring & shading on the deer! Love this! The background is great!!! Cute deer and love that background. Love the background and colors with that darling deer. Very cute. I like the colors of the trees in the background. Oh I love this cute card! The deer is adorable, the background is very cool. I love this stamp set, each of the stamp just cute! the stumped set is just SO cute! you tree background is perfect too. love this. Such a cute, wonderful card! Fabulous background! LOVE The Trees in the Background!! The Deer is Sooooo C U T E !! !